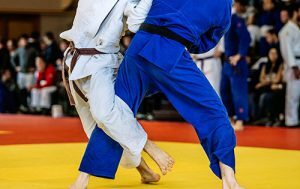 USADA announced today that Robert Anderson, of Park Forest, Ill., an athlete in the sport of Paralympic Judo, has used a prohibited medication and accepted a three-month sanction for his rule violation. Anderson, 22, declared the use of an inhaler called Breo Ellipta, which contains the prohibited substance vilanterol, during an in-competition test on April 10, 2016, at the USA Judo Paralympic Team Trials. The results of that in-competition test were negative. Vilanterol is a long acting beta-2 agonist, prohibited at all times regardless of route of administration under the USADA Protocol for Olympic and Paralympic Movement Testing (the “Protocol”), the United States Olympic Committee (“USOC”) National Anti­Doping Policies (“USOC NAQP”), and the International Blind Sport Federation (“IBSA”) Anti-Doping Rules, all of which have adopted the World Anti-Doping Code (“Code”) and the World Anti-Doping Agency (“WADA”) Prohibited List. After a thorough review of the case, including Anderson’s medical records, USADA has accepted his explanation that the vilanterol was not being used in an effort to enhance his performance and that he was taking the prescribed medication in a therapeutic dose under the care of a physician. Anderson’s three-month period of ineligibility began on July 28, 2016, the date on which he accepted his provisional suspension. In addition, Anderson has been disqualified from all competitive results obtained on and subsequent to April 10, 2016, the date he declared use of the inhaler, including forfeiture of any medals, points and prizes.